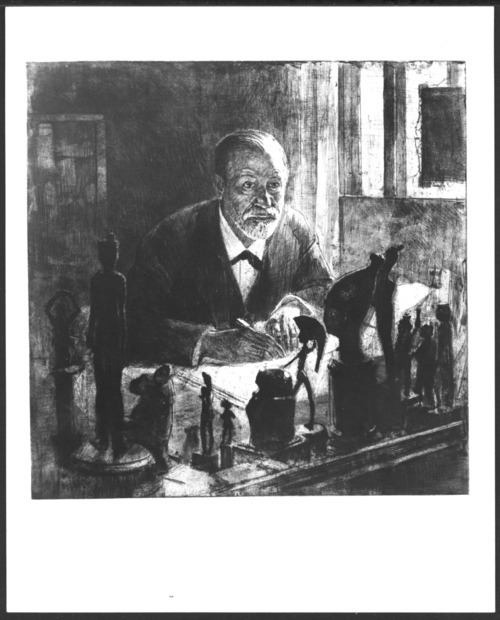 This print of Sigmund Freud was made from an etching by Max Pollak. It was used as the frontspiece in the Bulletin of the Menninger Clinic in September 1949. It shows Dr. Freud at his desk with some of his collection of antiquities.